If you’ve noticed an uptick in disgruntled Facebook posts from your New York City friends, you’re probably not alone. 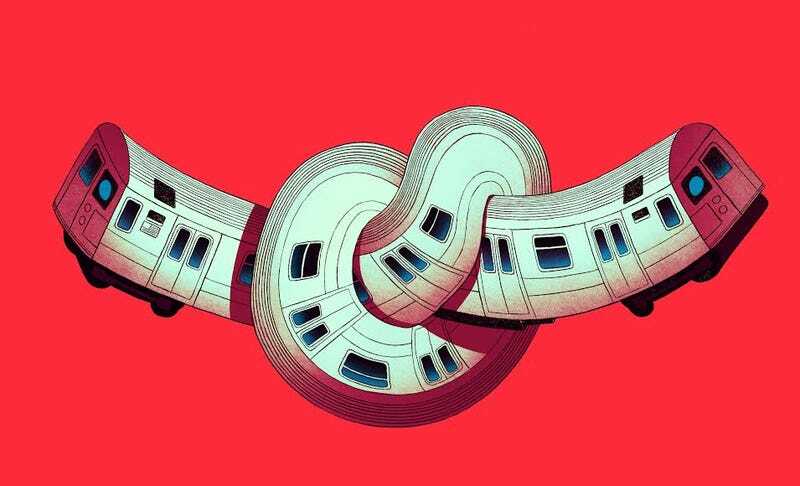 The NYC subway system has been getting worse for years, and a few recent horror stories—like when a 45-minute delay in a crowded, dark, sweltering line caused passengers to literally disrobe—are signs that the situation is only getting worse. The Metropolitan Transportation Authority, the state agency tasked with operating the subway, has gone so far as to ask employees to get people to work from home or during odd hours just to avoid its whole commuter Long Island Railroad. Here are a few explanations of how things got so bad, so fast. The NYC Subway System is 113 years old and sees an annual ridership of 2.7 billion, making it one of the oldest and most used subways in the world. The 24/7 metro serves across 5,000 square miles, with 472 stations throughout and around the city. Given the subway’s age and expansiveness, costs to maintain the operation are understandably high. And despite the high funds needed to maintain the subway, New York Governor Andrew Cuomo proposed a $65 million funding cut to the MTA in his fiscal year 2018 executive budget. If infrastructure appears to be operating fine, lawmakers have little incentive to allocate funds towards it over more issues more salient with voters, said John Raskin, executive director of advocacy group Riders Alliance. Yet the key to solving problems down the line is to invest in preventative measures, which doesn’t happen. Raskin said many governors and state legislators have treated subways as an afterthought for too long, to the point where Cuomo cannot ignore the issue any longer. Subway ridership is the highest it’s been since 1948 at 1.763 billion rides in 2015. Much of the increase occurred on lines going into Downtown Manhattan, as well as lines in and out of Brooklyn due to its growing residential popularity. With the increase in usage in an already busy metro, the lines get overcrowded. And with overcrowding comes delays. Delays have been rising for the past decade: MTA’s most recent public report on the issue describes a 263 percent increase in delays from overcrowding from 2011 to 2014. MTA spokesperson Kevin Ortiz did not respond to multiple requests for newer figures. One weary train operator said most of the delays are for people holding doors, a 30-second delay per station. This means that if a station has 40 stops, it gets delayed 20 minutes if it’s held once per station. Part of New Yorkers’ frustration with the subway system is not knowing who to blame. Although the subway primarily operates in the city and for city residents, the state government funds the metro. Up until recently, both New York City Mayor Bill de Blasio and Governor Cuomo have remained pretty silent on the issue. However, with complaints rising and delays getting longer, the two have taken to blaming each other for not taking enough responsibility. The mayor called out Cuomo during a May radio show for not taking enough responsibility for the MTA, to which Cuomo’s press secretary responded by saying the governor does little more than appoint members to the transportation authority’s board. Raskin said, despite Cuomo’s remarks, the governor and state lawmakers have the legal authority to raise revenue, change governing legislation and support the repairs. Although the public has long been confused as to who oversees MTA, the solution for its host of issues begins with Cuomo. But still, de Blasio vowed that if Cuomo doesn’t do his part to fix the subway system, the city will lead the effort to fix the system itself. Part of the issue with understanding the problems with the subway lie in its outdated control system. With infrastructure dating back to the 1930s and the most stations of any subway system in the world, the aging signaling system that controls train movement is having trouble precisely identifying where trains are (leading to oh so many more delays). Although nearly half of the signal-related spending in the current plan is for a new communications-based train control system, most of the funding is directed towards repair of the legacy signal network — a system so antiquated that NYC Transit must itself fabricate some replacement parts. Former Metropolitan Transportation Authority Chair Thomas Prendergast recently told The New York Times that at the current pace it would take 50 years to replace the old signal system. And it gets worse! The city’s allocation of funds that go into repairing the signals has declined since 2005. The subway desperately needs to upgrade its equipment, including the signals. A burden that ultimately will fall on Cuomo, Raskin said. Correction: This story previously said the subway system had 736 stations. The correct number is 472, or 425 if you count combined stations as one.